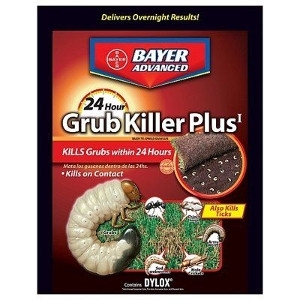 Bayer BioAdvanced 20 LB, 24-hour grub killer plus. Granular chemical does not linger in the soil. Easy to use, ready to spread. 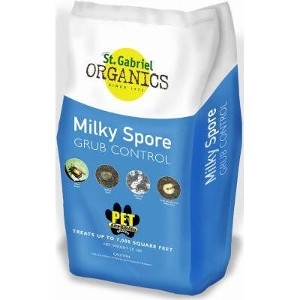 PLUS kills Ants, Billbugs, Chinch Bugs, Crickets, Cutworms, Earwigs, Grasshoppers, Leafhoppers, Millipedes, Mole Crickets, Pillbugs, Scorpions, Sod Webworms, Sowbugs and Ticks. 24 hour results guaranteed. 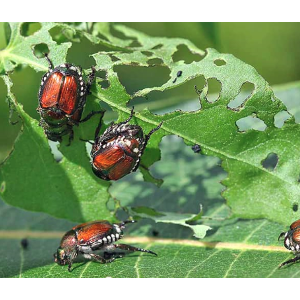 Milky Spore Grub Control Spreader Mix, Organic Compound Attacks The Larvae Of Japanese Beetles, Apply With Spreader Anytime From Spring Through Fall, Kills Grubs For 15 To 20 Years, Harmless To All Other Living Things & Will Not Effect Birds, Bees, Beneficial Insects, Fish, Animals, Plants Or Man. 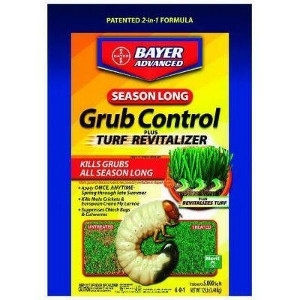 Bayer BioAdvanced 12-lb, season long grub control with Turf Revitalizer. Improved formula, treats up to 5,000 sq ft. Patented 2-in-1 formula kills Grubs all season long PLUS promotes strong roots and thicker turf.